We have been offering a superior quality Silicone Grease. It is smooth, soft and bleed resistant compound. 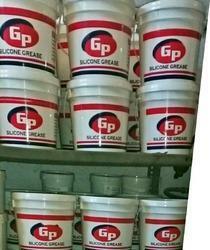 This grease is non-oxidizing, non-sticky, water resistive and chemically-inert material. It also has high thermal resistance properties and does not melt or solidify at extreme temperatures. This is resistant to moisture, mild acids, water and other organic chemicals. In addition, it has outstanding resistance properties to extreme weather conditions. Our offered GP171 Compound (HVG) is formulated with use of industry grade components under the guidance of our highly learned team. This finds its varied applications in lubrication for control and pressure plug valves, water softener and faucet valves. Furthermore, this also offers damping medium for dash pots in electrical and electronic equipments. Lubrication for control and pressure plug valves, water softener and faucet valves.Sealant for vacuum and pressure systems.Sealant for outdoor equipment (also shipboard) subject to washing and harsh environmental exposure: meters, electrical service entrance and underground connections.Damping medium for dash pots in electrical and electronic equipment.Used as an anti-stick and a sealant for transformer gasket and equipment enclosures. It prevents gaskets from sticking to metal and resists weathering and water washout.Rubber and plastic O-rings, gaskets and seals. Our offered GP 171 Compound is formulated for greater release properties, excellent part appearance, and lubrication. This finds its applications primarily in food industry. Our expert team with use of advanced technology ensures a reliable and effective grade compound that will offer elevated results.